DBG Fashions” will be producing a South Asian Fusion Fashion Show for our Main Stage audience. Davi will be demonstrating how to put on a Sari as well as showcasing a variety of Fushion Indian Outfits for your viewing pleasure. Davi Began designing at age 16 driven by a desire to create garments that were stylistically different. After many years of creating unique designs in her spare time, Davi finally saw her dreams come to life in 2003 when she opened her own boutique, Armaan DBG. 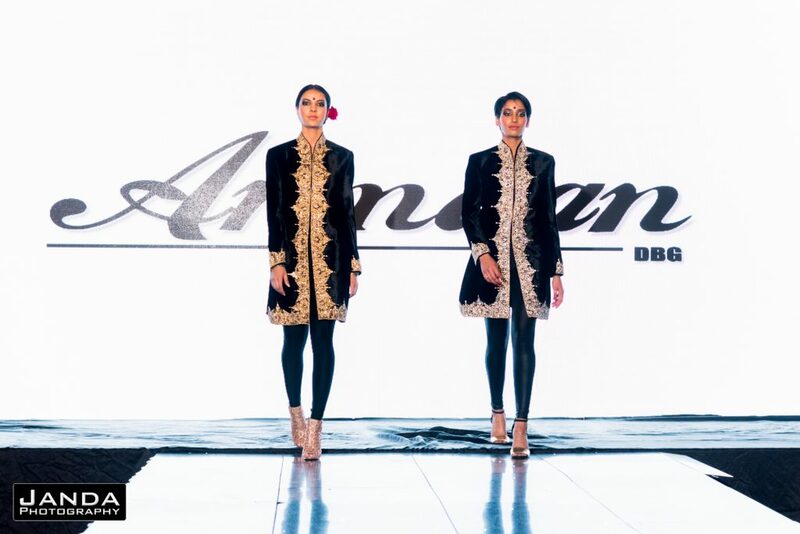 Armaan is a Hindi word that means “Desire” and to Davi Bains Gill the word not only represents her business but also her reason for being in the business of Indian Fashion. In attendance at her grand opening were Bollywood Superstars Salman Khan and Saif Ali Khan who continue to support her and her vision to this day. One of Davi’s major goals was to try and change the shape of the Indian Fashion industry, and her efforts did not go unnoticed. In 2008 Davi was selected as part of an elite list of the 100 most influential Indo-Canadians. Then in 2013 Davi was asked to showcase her talents as part of the TOIFA Awards (The Times of India Film Awards). Even though Davi has come a long way since her beginning days as a teenager she still strives to push the fashion boundaries by creating unique trend-setting pieces that stand out and define her work as an artist and a designer.